March 15, 2013, Aurora, Oregon. 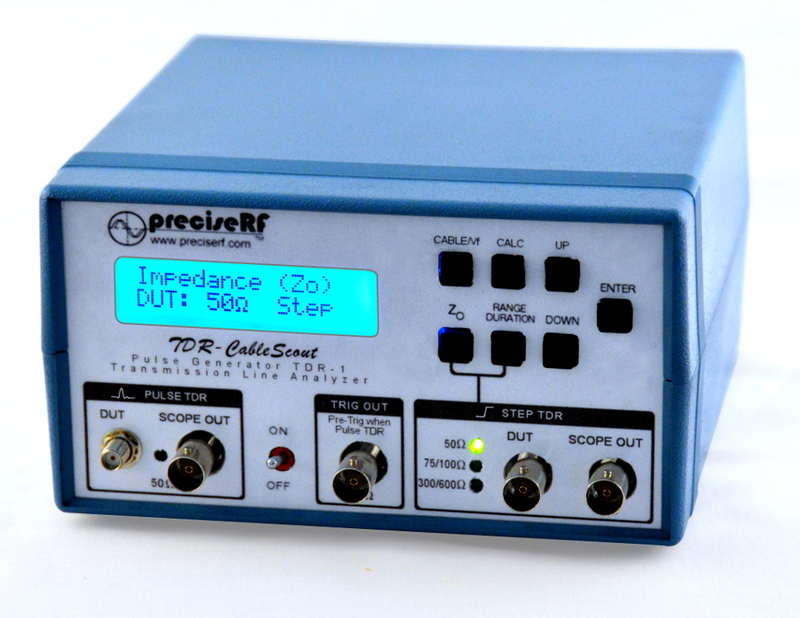 The new TDR-CableScout is a unique new pulse generator for testing transmission lines from 50-600 ohms used by ham radio operators. Unlike expensive commercial TDR systems which include a dedicated display, the TDR-CableScout is an entirely new product. It is an accessory for your oscilloscope. 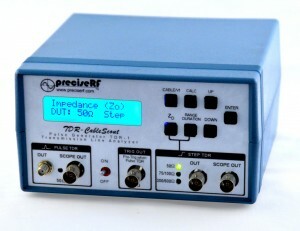 It is a smart, very high speed pulse generator, with selectable TDR DUT impedances and integrated high speed samplers. Since the TDR-CableScout has built-in samplers, no clumsy “T” connectors are required. This allows you to use your scope’s vertical amplifier in the fast 50 ohm input mode. If your scope does not have a 50 ohm vertical input, we can provide you with 50 ohm pass-through terminators for the highest resolution and speed. Just connect it to your scope with conventional 50 ohm cables and your transmission line or cable to the DUT port, and the TDR-CableScout interrogates your cable with either a Step TDR or Pulse TDR signal and provides vital information of transmissions line used by ham radio operators. No manual calculations are needed as the TDR-CableScout TDR computer provides measurement results right on it’s high contrast back-lit LCD. The TDR-CableScout comes in two models, the standard version and the pro version.